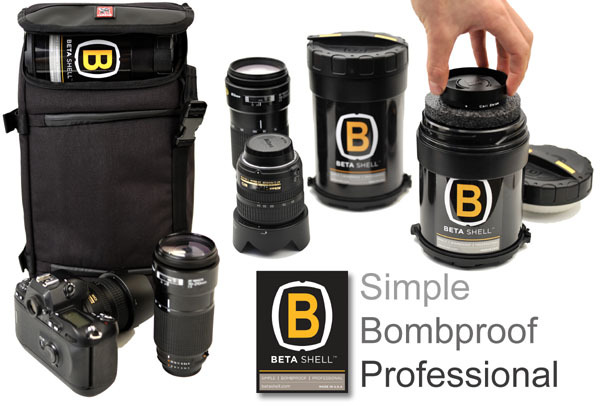 We are impressed by any product that is bold enough to call itself bomb proof, and our client Beta Shell has the products to make such claims. Beta Shell makes a line of rigid, water-proof, and shock resistant protective cases for camera lenses and other valuable items. Mohr IP Law has helped Beta Shell to secure patent and trademark rights for its products. We have some Beta Shell cases in our office and there is no denying that these things are tough. We enjoyed seeing Gizmodo highlight Beta Shell in one of its articles. In a video accompanying the article, we are shown a car being driven over a Beta Shell case to demonstrate that it is crushproof. Anyone with expensive items like camera lenses will appreciate the level of protection that the patented Beta Shell products provide. Beta Shell Series 5 Protective Cases Unable to load video.